Tag Archive | "environmental law"
“Kyoto, for Canada, is in the past,” stated Peter Kent, Canada’s Minister of Environment. On Monday December 12, Kent announced that Canada would withdraw from the Kyoto Protocol shortly after returning from South Africa. The decision by Canada’s Conservative Party government has long been expected, as the Conservative government has never disguised its disdain for the treaty. Kent cited numerous reasons for the country’s withdrawal, namely the possibility of huge fines for Canada’s failure to meet emissions targets. Kent said that Canada’s failure to meet the targets under Kyoto would cost Canada $14 billion in penalties, or $1,600 from every Canadian family. Kent stated that despite this cost, greenhouse gas emissions would continue to rise, as the world’s largest polluters, the United States, China, and India, were not covered by the Kyoto agreement. The Kyoto protocol, a 1997 treaty to reduce greenhouse has emissions, has been widely criticized for its failure to require developing countries like Brazil, China, and India to regulate greenhouse gas emissions. Canada declared four years ago that it did not intend to meet its existing Kyoto commitments of reducing greenhouse gas emissions by 6%, and instead its annual emissions have risen by about a third since 1990. The Conservative government has called Canada’s ratification of Kyoto a legacy of an incompetent Liberal government, and has further noted that the former Liberal Party had agreed to the treaty “without any regard as to how it would be fulfilled” or intention of meeting its targets. Kent criticized the Kyoto Protocol saying that Canada produces “barely 2 percent” of global emissions and the Kyoto Protocol itself presently covers only 13% of global emissions. Kent stated that Canada would work toward developing an agreement that includes targets for developing nations, adding, “What we have to look at is all major emitters.” Kent insisted that Canada is committed to addressing climate change in a fair way that covers all nations. Conversely, the Conservative government does not want to hurt Canada’s large oil sands industry, which is the fasting growing source of greenhouse cases in the country and the third-largest oil reserves in the world. 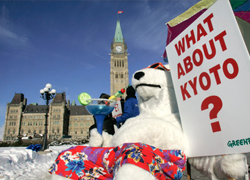 Canada’s withdrawal from Kyoto has been associated with former President George W. Bush’s refusal to ratify the Kyoto Protocol in 2001. The Canadian economy and U.S. economy are integrated, with Canada being the largest supplier of oil and case to the United States, sending 75% of its exports to the U.S. each month. Bush’s move in 2001 gave U.S. competitors an unfair advantage and continuing to adhere to its targets would severely hinder the Canadian gross domestic product. Under Kyoto, Canada must formally give notice of its intention to withdraw by the end of this year or else face penalties after 2012 and Kent indicated Canada’s intention to do so. Canada’s withdrawal also raises several questions about both the future of the Kyoto Protocol and the success of the future treaty initiated at Durban. In reality, the Kyoto Protocol has very few enforcement mechanisms beyond international diplomatic censure, but many fear that Canada’s decision will jeopardize any gains made at the Durban meeting. Kent assured the world that Canada is still interested in negotiating a new deal as long as it covers all major polluters. Whether other nations are interested in talking to Canada is another matter. Although many no longer see Canada as trustworthy, many believe that Canada is still bound by what they agreed to in Durban and will still partake in working towards a new treaty. This passage from Wang Tieya’s 1984 course illustrates the primacy of sovereignty in the Chinese model. 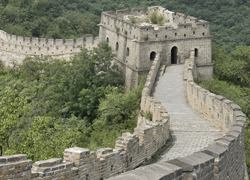 It comes as no surprise that China guards its sovereignty so jealously, considering its history of international relations. China sees its sovereignty as being threatened by Western powers and considers this threat to be an affront to the fundamental principles of international law. The theme of sovereignty was just as manifest in Judge Xue’s 2011 lecture as it was in Professor Wang’s 1984 version. As Judge Xue stated in her lecture, sovereignty is a “perpetual theme for China, both theoretically and practically.” China adheres strictly to this principle and its contents, which require “supremacy internally and independence externally.” In China’s view, sovereignty is and should remain the basis of the world order. According to Judge Xue, the concept of sovereign equality rejects the existence of supranational bodies. Thus, the European focus on regional organizations and supranational governance is evidence of a paradigmatic shift away from sovereign equality in favor of world government. But the attack of sovereignty does not stop at the border of the European Union. The west’s treatment of developing nations further suggests to Judge Xue that sovereignty is under attack worldwide and requires protection. Judge Xue stated a belief that the west’s attempts to retain dominance in the formation of international norms and control of international structures are a threat to the sovereignty of developing nations. This phenomenon, according to Judge Xue, explains the focus on human rights and global governance, the frequent use of intervention to achieve these goals, and a weakening of sovereign equality on the whole. From the Chinese perspective, intervention of this sort has its historical roots in overt imperialist goals and continues to this day under a different name. Humanitarian intervention of a failed state has become the norm, regardless of whether the failure is the result of internal armed conflict, economic issues, or human rights violations, as they are properly understood. From Judge Xue’s criticism of intervention – that it is employed to counter internal armed conflict, economic crises, and human rights violations alike – one can infer that the Chinese issue with the status quo does not lie in the existence of intervention but the indiscriminate use of such intervention. While human rights violations, “properly understood,” may require third party intervention, countries should be left to handle internal armed conflicts and economic crises as they see fit. What constitutes a “proper” understanding of human rights violations is a highly contentious question – one that will be left for Part 5 of this series. None of this is to say that China sees its role in the international community as that of an autonomous outsider. As Judge Xue rightly noted, no state can act alone, and all states, including China, are bound by treaties that that must be followed in good faith. Moreover, China interprets the term “treaty” broadly to include memoranda of understanding, joint communiqués, and other instruments lacking the formality of a typical treaty. China sees an important role for international law in the area of serious international crimes and has made significant contributions in that area. However, China strongly prefers to deal bilaterally as opposed to multilaterally and insists on negotiating with a state with which it is in conflict before the international community steps it. It sees international organizations as trying to reshape the international law creation process, silencing the voices of developed countries. Judge Xue framed the central issue correctly when she said, “The question is, how should states with different systems and values interact with one another on the international stage?” For her, and for China, the answer to that question lies in sovereignty, which consists of substantive equality free from superpowers, respect for internal political decisions, and mutual agreement on freedom, equality, respect for the environment, and respect for human rights. 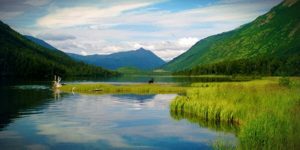 This summer, the United Nations launched a website with important implications for the future of international environmental law. 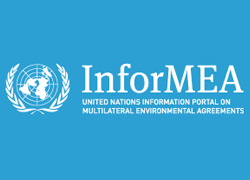 InforMEA, the United Nations Portal on Multilateral Environmental Agreements brings together information relating to 17 multilateral environmental agreements (MEAs) from 12 Secretariats hosted by three UN organizations and the International Union for Conservation of Nature (IUCN). It is also open to nongovernmental observers involved in MEA information and data management. The portal will contain decisions, resolutions, and recommendations from conferences and meetings of the parties (COPs and MOPs), calendars, news and events, and certain national contacts. It will also harmonize information from across the MEAs, so that information is more easily accessible and usable. Elsewhere, I have written about the significance of COP and MOP activity. This portal will bring this activity together in one place, in easily accessible format. Why is this move so significant? It has the potential to affect three areas of current concern to international environmental lawyers: sectoral fragmentation, the relationship between international law and domestic law, and accountability. First, the portal might help us manage the sectoral fragmentation we see in international law, particularly in international environmental law. Many commentators have worried that connections among treaties that have substantial overlap are weak or completely lacking. This can lead to, at best, unnecessary duplication and, at worst, one subject matter treaty undermining the goals of another treaty that deals with a different subject matter. Worries about the effects of climate change mitigation efforts on biodiversity are a good example of this. This portal offers the potential for those interested to find avenues for coordination and linkages as they see what all the MEAs are working on. Second, information that is more accessible is also more useful to national authorities. As international environmental law is increasingly connected to domestic law and implementation, this accessibility will be key. Sustainability requires recognition of local context and localized activities, as well as some international coordination of information and sharing of experience. The role of international environmental law as a clearinghouse of information is greatly enhanced by this portal. Third, the amount of activity undertaken by the COPs and MOPs of MEAS, as well as various technical bodies, has created concern about accountability. NYU’s Global Administrative Law Project is an example of one response to this concern. This portal can enhance informal accountability because it will now be much easier to find out what COPs, MOPs, and various technical bodies are doing. The participation of nongovernmental observers is important for this, but the portal’s openness to the world at large is also key here. 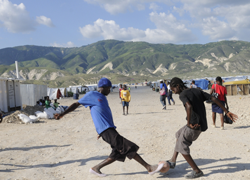 For many Haiti evokes images of absolute poverty, environmental devastation and desperate emigrants. When I think of Haiti, I see 26 young leaders dedicated to serving others and the environment. I was invited by the State Department’s Fulbright Program for the Western Hemisphere to co-lead a course in Environmental Leadership and train 26 Haitian students from three of the country’s universities in the skills and qualities necessary to lead. In a process coordinated by the U.S. Embassy, the students were selected by their deans based on their subject area of study and their Grade Point Averages. Through a combination of field visits, experiential exercises, readings, discussion groups and case studies, the students furthered their understanding of the need for each individual to take thoughtful initiative in addressing the environmental challenges in Haiti. By making changes in their own behavior they can affect positive change in those around them. Leaders do not need to have all the answers, but rather need to know how to bring together the relevant parties to find answers. Leaders are not only those in positions of authority, and the students began to see themselves as leaders. In respect to the first point, the students took to heart the notion of change beginning with the individual. It was noted that here were students at the top of their classes in their respective universities studying environmental management and yet each time they would get a cup of water, they would use a plastic cup and then immediately discard it. This became an unexpected entrée into the subject of integrity in leadership. It is much easier to blame others for the trash choking the waterways or littering the nearby islands and imagine all sorts of solutions to “educate” others. In not so subtle ways throughout the week, these inconsistencies between articulated values and behavior were pointed out. By the end of the week, the students had taken to writing their names on their cups and toting them from session to session. Second, through the analysis of several case studies in the country, there was recognition that complex environmental problems cannot be solved through traditional leadership. Rather, they require collaborative solutions that draw upon the collective intelligence of those affecting and affected by the situation. A noticeable shift occurred where students in the early part of the course focused on persuading others of the correctness of their individual point of view, while towards the end they were truly making an effort to understand the perspective of their fellow students. Finally, the students showed increasing leadership from small actions to huge commitments. One student, acknowledging that her neighbor was reluctant to speak up, encouraged her to share her ideas. Later in the week, a small group organized a ‘spectacle,’ where the students sang ‘I believe I can fly’ and went on to explain their belief in their capacity to change Haiti. On the last day, the students announced the formation of a ‘Group of Reflection’ that continues to meet to reflect and take action on environmental problems in their communities. These students recognized that through effective collaborative leadership, even at their own hands, Haiti can address and overcome environmental challenge. These students—26 reasons for environmental optimism in Haiti—are at the center of significant positive change in Haiti.